Tell us about your design ideas and let’s get started! Delivery zip code – prices include delivery to your door! Give us a call today with the above information we’ll provide a quote. You can also email us from the Contact Us page. We welcome the opportunity to collaborate with your team: architects, designers, contractors, homeowners – through every phase from planning and design to selection and installation if desired. Our 35 years in the natural stone industry includes masonry installation with natural stone products. Let us help you find the perfect match for your project! After reviewing cobblestone and curb options, a quote will be provided. Samples will be sent at no charge, you pay only for shipping. We use USPS flat rate box for the least expensive option, also FedEx or UPS is available for faster service. We require a credit card for billing the shipping cost. Upon your approval, a signed contract and 50% deposit will begin the order process. Monarch Stone International contracts with the finest ocean and land freight forwarders in the country. 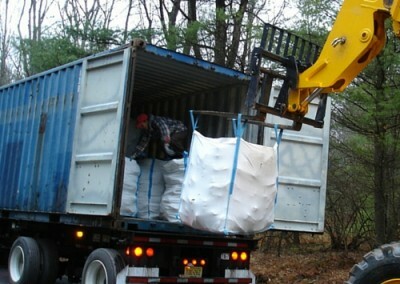 Historic European Cobblestone® and curb is shipped to projects from the nearest port in 20’ containers. 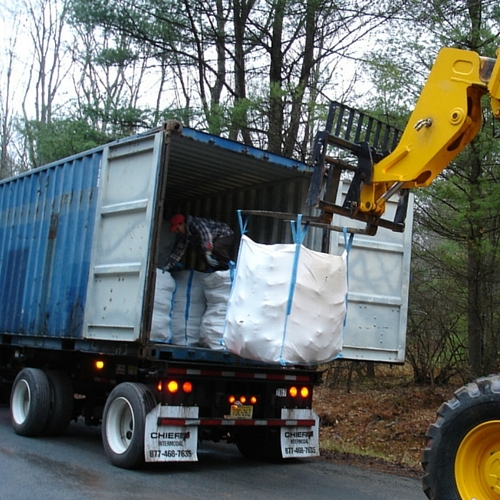 Off-loading is handled by your qualified contractor on-site. Detailed instructions will be provided. Most orders can be delivered within 4 – 6 weeks to the East coast and 6 – 8 weeks to the West. Large quantities will require extra time, as well as special or sawn orders.